It was a sweet sweep for Sister Stella L., the movie which garnered ten of the twelve trophies at stake during Friday night’s 9th Urian Awards rites. 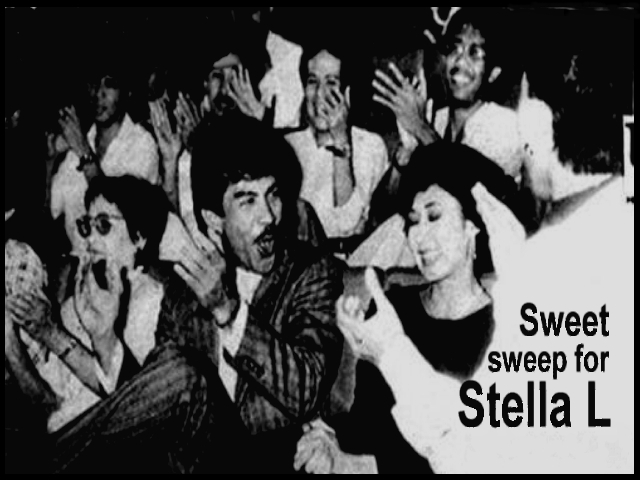 The Regal Films production was hailed the best film; Sister Stella L herself, Vilma Santos, Best Actress; Jay Ilagan, Best Actor; Mike De Leon, Best Director; Laurice Guillen, Best Supporting Actress; Tony Santos Sr., Best Supporting Actor; Sister Stella L’s Jose Lacaba, Jose Almoujuella, and Mike de Leon were cited for the Best Screenpla category; Jess Navarro, for Best Editing; Ding Achacoso, for Best Music; and Ramon Reyes, for Best Sound. This is more than enough to compensate for its poor performance at the box office. ECP’s Misteryo sa Tuwa went home with two remaining awards for Best Production Design for Don Escudero and Rodel Cruz; and for Best Cinematography by Rod Lacap. For his outstanding contribution to the film industry, the Manunuri ng Pelikulang Pilipino bestowed a special award to William Smith. Smith is particularly renowned for bringing into the country the first colored film laboratory. Although the presentation ran smoothly and briefly (yes, the audience were relieved of long waits and intermissions), notable was the marked seriousness about the atmosphere that night. Champoy’s twosome’s (emcee Cherie Gil and Noel Trinidad) efforts to perk up the audience were futile. The Urian show, furthermore, lacked star luster. Several guest stars failed to attend the ceremony as shown by the many vacant seats. Some presentors even had to go upstage twice. Have we sudenly grown weary of awards rites? Even the major awardees were not present to claim their trophies, thus only Vilma posed for photographers at the end of the show. Source: Pinoy Exchange web-site. 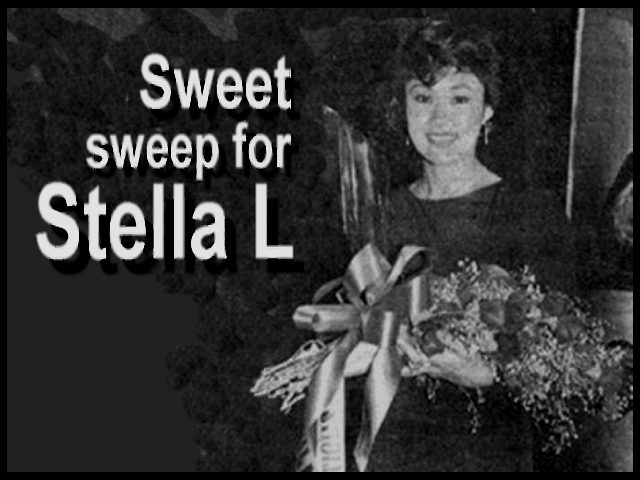 This entry was posted in ACHIEVEMENTS, ARTICLES and tagged AWARDS, Sister Stella L (1984), Sweet Sweep for Stella L, Vilma Santos. Bookmark the permalink.